In shallow dish or pie pan, mix garlic, basil, pepper, salt, lemon juice and 1 tablespoon of the oil. Coat chicken with garlic-basil mixture. In 10-inch skillet, heat remaining tablespoon oil over medium heat. Add chicken; cook about 5 minutes on each side or until browned. Reduce heat to medium-low; cover and cook 10 to 15 minutes or until juice of chicken is clear when thickest part is cut to bone (170°F). 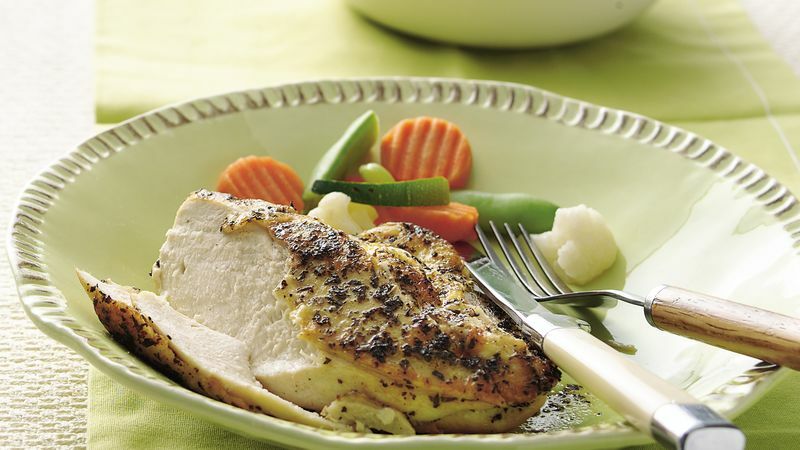 Serve this flavorful chicken with mixed vegetables and breadsticks.